To celebrate Wonder Bread’s “Camo for a Cause” in partnership with the USO, we want show our appreciation for the men and women serving in the military to give away “Stories of Service” prize packs to our heroes. Nominate someone you know by sharing their military moment or hero story for a chance to win. Each weekday, we will select one winner and read their story on-air. Daily winners will score a prize pack including free Wonder Bread all summer long, a Wonder camo apron, and a Visa gift card valued at $100 for all the grilling essentials. Once a week, we will feature one Hero on the show and chat with them about their service. This hero will score an ultimate prize pack including coupons, an apron, and a Visa gift card valued at $500. Send us a picture of the nominee! 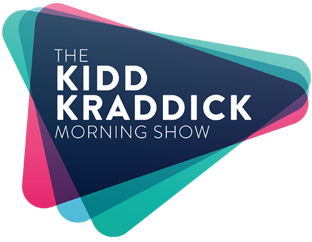 Yes, send me info about other great Kidd Kraddick Morning Show contests and promotions!